With a transformative design and cutting-edge technological advances, the 2018 Toyota Camry has arrived.Featuring a sleek new body profile with a four-door exterior and a driver’s cockpit that connects you to the road like never before, you are going to want to take it everywhere. Comfort-inducing seating is available for up to five individuals as you select from the L, LE, SE, XSE, XLE, XSE V6 and the XLE V6. Engage with a high degree of personal space and craftsmanship in the 2018 Toyota Camry. With a driver-centric layout, you are given the highest grade of soft touch and premium materials with heated front seats to help accommodate for a cold Canadian winter. Furthering your comfort is the available dual-zone automatic climate control and its ability to provide two different front temperatures simultaneously. With an available leather-wrapped steering wheel you are given refinement in every touch as the mounted audio and voice recognition controls ensure that you are able to access your settings without distraction. Enjoy an environment of diverse colours and materials, and that enhances passenger comfort and visual satisfaction. Newly transformed, the 2018 Toyota Camry is sharper, sleeker and build for performance. With a lower center of gravity and wider, more balanced vehicle body the Camry deploys a “Keen Look” design philosophy that incorporates a wind-cutting shape and an athletic driving feel. Drive up on the available 19-inch black machined-finish alloy wheels as you grab the attention of all you pass by. The 2018 Toyota Camry is rich with intuitive configuration as you drive with advanced technology on your side. 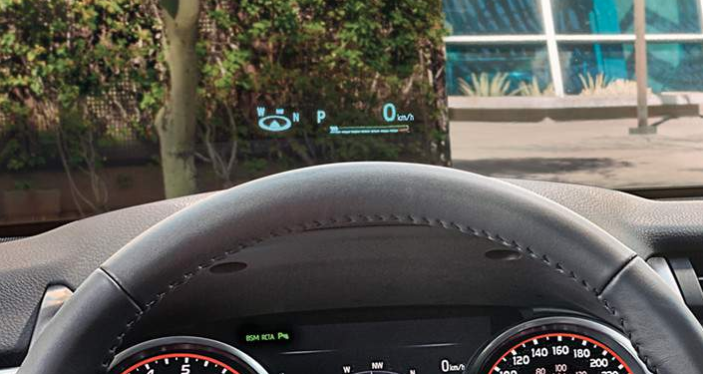 Introducing Toyota’s latest Human Machine Interface (HMI) with next-generation display technology, you are able to utilize a unique level of connectivity with minimal distraction. The optional 8” Display Screen and the available 10” Head-Up Display enable the driver to drive with enhanced focus and connection. Stay in the loop with Bluetooth capability as you connect to your compatible devices without the use of your hands. Finding your way is a breeze as you opt for a navigation system that provides turn-by-turn directions to a variety of destinations, allowing you to focus on the pure enjoyment of driving. Make your 2018 Toyota Camry your own through a series of Toyota Genuine Parts and Accessories. Enhance your interior through a cargo liner, featuring skid-resistant surface for maximum protection or protect your exterior with a pro-series paint protection film to guard against weathering. No matter what your personal preferences are, there is a part of accessories to accommodate to your specific wants and needs. Bold power and responsiveness are found in the new 2018 Toyota Camry as you engage with up tp 301 horsepower and impressive handling. Featuring an 8-speed Direct Shift Automatic Transmission, you are given increased performance capability everywhere you go. Utilize the available steering wheel paddle shifters to maximize performance and driver control. As you embark on each journey with anticipation for more. -Toyota Star Safety System: Vehicle Stability Control, Anti-lock Brake System, Electronic Brake-force Distribution, Brake Assist and Smart Stop Technology. Revealing a ground-up transformation, the 2018 Toyota Camry emerges as the vehicle we have all been waiting for. You will notice the dramatic improvements within the first few seconds of driving as begin to look for reasons to get on the road. Explore the transformed 2018 Toyota Camry at your local Edmonton Toyota Dealer – Gateway Toyota. 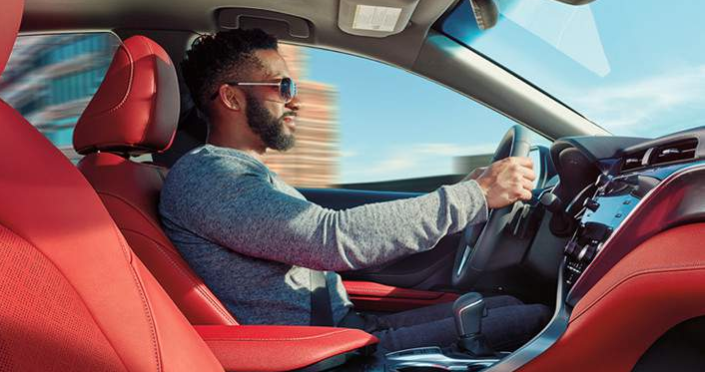 Proud to offer you a broad range of innovative vehicles that break the status quo, Gateway Toyota looks forward to helping you find the perfect model.